Roshni k: The essence of unconditional love !! Welcome to the blog !! Roshni is a technical graduate, Lecturer to upcoming engineers and a part time writer with full passion , a music lover , an avid reader, stepped to be a creative writer. Keep reading! Keep sharing ! The essence of unconditional love !! Sitting a couple of stairs above at the bank of river Ganga , i was fancied by the scenic view that was enriching my soul . All my negativities were shrinking and taken by the onrush of air that is sended to the water. I took a bottle from my bag and had a series of gulp and my lungs were inflating again . My eyes were twinkling by the small cradles illuminated by candles that were flickering in the moonlight flowing in the river offered by hundreds of people around there. Suddenly my eyes got catched up by a poster writen " Love that spread unconditionaly are received unconditionaly". My nerves started fighting to resist the statement . Is that really true in every case ? We as a human are always in the race of wanting more, chasing more , to accomplish only our needs and expectations. I saw many Devotees are murmering prayers and the enchanted prayers are flowing like waves to rivers in the form of power and creating memory . Yes ! they are those living entity that creates memory , whatever we lead to her. She is the heart of universe that connects to the clouds to rain down and relieve the thirst. She is a mother that bestow us the motherhood by grabbing all negatives and sin . She gave us food for millions of biodiversity . If it dies.. People will die . No rivers ..No life . If it is the most worshiped body , it is the most dirtiest too. She flows to give us lifeline and in return we offer her the clotting of wastes and pollutants from cities to states. Spewing heavy metals , spilling industrial wastes . We used to dump all scraps . But it again descends to earth from her home in the milky pure way as divine without any complaints, forgiving us , bestowing love to us , without any expectations like a true unconditional love. We are not restricted to the affections to few people. A part of us belongs to universe. We must free ourselves from the prison to widen our circle to embrace all living entity in nature . It's a time to save a heart , a mother , a food and a love . We as a human are the luckiest being awarded with brains and mouth to fight for our rights . Let's fight for her rights , respect , rules and regulations . Let's save our rivers before it collapse. Let's clean our rivers and love her unconditionaly they deserve more !! You write SO beautifully and descriptively...it made me feel like I was there. Lovely post and so true! It's a very beautiful blog touched to our nature .Yours every words really brings changes in thoughts of many people. And yes absolutely true ,now a days every body in run of getting more and more, there is hard to see a people who shows uncondinatinal love for a person, for anything accept ours nature who gives more &more without wanting anything else and shows her unconditional love to us. It's a great blog dedicated to our nature and u done a great work here, it's definitely brings changes in thinking of our society . U done a great job here proud of you because now's a days only few people have a time who thinks for us and for our living Nature. I love yours writing so please keep on writing and keep on sharing with us. It's a pleasure to read such a awesome blog dedicated to our nature. I love this post. I can feel your care and love for the nature. This touched my heart. Love how you went about telling your thoughts ❤ makes you wish that unconditional love existed more in this world in a healthy way. Great post. You posted the reality of the unconditional love which really hard to find now days accept from our living nature and animals . I wish what you want to convey msg to human beings they understand with yours blog .And save nature and living River's and understand that they are living being and they shows uncondinatinal love and done sacrifices for our existence. Awesome blog and thanks for sharing such a great writing dedicated for wellbeing of our society and living river. This blog really shows yours Great love and concern towards our nature and also shows that you really concern about our society future. You done a great job here by writing and showing concern for our future generations and by writing for the rights of our living river and living nature. You writing definitely brings changes to people thinking and wishing here that what you want to done with your writing comes true and people think before polluting rivers and nature and understand that our nature, rivers are living being like us they sacrifice alot for life of human beings then why we not understand their needs. It's a great blog on issue of cleaness ,rights and on awareness that our nature are living being like us. U really give urs quality time by writing this I reall love this topic and feel good to read. And absolutely true save rivers, save nature and save ourselves. I really love yours blog. Hope so it work ! You done a great job here by writing this and showing concern towards wellbeing and rights of river. Truly said despite all the divinity of the GANGA and others rivers ,it has come under ever-growing threat from humanity. Wishing what you want to done with this blog comes true. It's definitely brings awareness that our rivers and nature are also living creatures like us and wishing people will think before polluting ,harm our living rivers. I loved to read yours blog. Proud of you. Thanks for sharing such a good topic with us and for giving yours valuable time for the better of our future generations and their life's. love this writing post ! This post really shows that you are concerned about nature and you really love alot nature and it's beauty. With yours post you also tells the meaning of unconditional love, which is know very rare to see among us, who want to live only for the happiness of others without any expectations from us. Very touching with yours small writing you send various msgs among us. I wish it's brings changes in thinking of people and they understand wht you want to say with yours post. Thanks for sharing I loved this post. And very Good night to you. Very good evening to you. Its a great to see that there are few people who shows love, care for our nature,river and have time to tell everyone that are also like us living being,they have a right like us. It's a great writing dedicated to our nature and u said absolutely true that if they exist then only we have our existence and see this beautiful world for a very very long time. And u give a perfect example of true unconditional love and sacrifice which is hard to see in human being. It's our pleasure to see a such a good blog dedicated to our nature, rivers and on their sacrifice. Keep on writing and sharing. Feel good read. Thanks for sharing your love for Nature with us.And wishing a very Happy Winter to you. This was such a nice find and equally nice read. I always hate the fact that how people dump all the waste in Ganga and then call her mother. Beautiful blog dedicated to nature and this blog really shows yours Great love towards nature .And what u want send msg among us I wish everybody understand treat them as living being donot harm them. Thanks for sharing this beautiful topic with us and very Gd nght. Yes will sure share more ! Very true. Nature,rivers are like us they have to be treated like humans. Because if it's dies we die.Very inspirational writing for nature and their rights. Everyone have to understand that. Beautifully written once again, a blog dedicated to nature and for their rights. It's also present yours Great love towards living rivers and concern towards them. I wish everybody understand treat them as you want, as humans. Beautiful blog dedicated to our nature. I wish everyone will think like you that they are like us ,they have a life and have theirs rights then our Holy Rivers and our Nature will never get polluted. I wish yours blogs helped people to understand that if they have life then only we have our existence. Amazing thought and concern towards nature. I loved it. This is a beautiful tribute to our rives and nature! :) I hope that people read this post/blog and take your words to heart. Very Good Morning to you. It's a Awesome blog and written very beautifully for the welfare of our nature ,our living rivers and it's right. It's make me feel good to read.I wish this blog let's people know about the divinity of holyrivers and makes them understand that our existence only because of them. So everyone thinks before polluting them, harm them and understand their unconditional love towards us. This blogs also shows yours Great love, concern and feelings of care towards living rivers and nature. It's a pleasure to see a such Good blog on Nature. Hats off to your Awesome thinking!!!! Thanks for sharing with us yours Good thought. Thanks for your reads and nice response .I am glad to hear ! Lovely blog. It's really inspired everyone, and aware evryone that our nature ,rivers are living being like us they have their rights and helped to understand their unconditional love for us. It's a nice feeling to see yours next awesome post. This post based on Nature is also very impressive as yours all earlier post .Beautifully written once again. It's a nice feeling to see yours love and concern towards our Nature, our holy Rivers besides yours Awesome writing. It's definitely brings awareness and changes in thoughts of many people as you want. I wish everybody thinks likes you then our Rivers, Nature will never get polluted. I wish everyone understands this feeling of unconditional love toward us. I loved to read yours post once again!!!! Thanks for sharing yours feelings of Love towards Nature with us. Very good evening to you Linda ! I am glad to see your response . A very warm Good Morning to you. This blogs beautifully shows your love, concern and care towards our nature and rivers. Very impressive written showing real meaning of unconditional love and care. I wished everybody understand this thinks likes you and respect them. I loved it. It's our pleasure to see such good blog dedicated to our nature. Proud of you. You done great job here writing for the welfare of nature. Superb writing. Very much thankful to you for your read and response! Aap bht bht aacha likhti hai aur ye lekh jo aapne hamari prakriti aur devatv nirjharini ke dekhbhal key prati chinta prakat ki hai aur unke adhikaar ke bare mey likha hai wo bht hi sarahniy hai. Agar aap jaisa sabhi soche toh hume nishchit roop se hi parivartan dekhne ko mile ,ye hum sabhi ko hamesha sunder aur swachh dekhney ko miley. Aapko bht bht dhanyavaad apke ish subh vichaar ko hum sabhi sey saajha karne key liye. This was very well written, I had to read it twice. You have done a wonderful job. I am glad you liked and shared. It's a incredible post on Nature and on our divine rivers .Beautifully written telling it's importance to ours life and beautifully presented yours love,care and concern towards them ,telling that they are also like us living being and have their rights. This blog also tells real feeling and meaning of unconditional love and care which is now hard to see among humans.I wish everybody understand this feeling of care and love. And a very very good Night to you. We get next awesome post to read .Amazing writing showing love and care towards nature. It's show great Love towards Nature and yours wonderful thinking. Loved to read it. Proud of you. I wish your writing brings changes and everyone understand yours lovely thought. Hats off to yours very very good thinking and showing real meaning of unconditional love. Wonderful post. Very good morning to you ! I wish you have a beautiful evening.. I must say it's a awesome blog showing a good feeling of unconditional love and care And blog dedicated to our nature and for their rights. I wish everyone feels yours feelings... And thinks before polluting them. You write so well! You had me hooked from the first paragraph! It's a very inspirational blog written specifically for nature, for our rivers for their rights and the way you present yours love ,concern and importance for our life it's Amazing . You give a real example of unconditional love, and their sacrifice which is very impossible to see now and hard to understand this feeling by anyone. Yup, it's a awesome writing and I wish it's definitley bring changes in thoughts as you want and in feeling as you want to bring with this blog. Have a great day and thanks for sharing Such a wonderful thought with us!!!!! And yes absolutely true if everyone thinks like you our nature never becomes a topic of discussion, they looks beautiful as always ,as u want and as we want. And wishing everyone understand this feeling of unconditional love . Done Great job here. I loved to read it and wishing it's brings change. I really love that topic...nice one ,keep it up! Very beautiful and well written! Loved it! It's a full of your good thoughts, shows your love,care and concern. I must say the way think it's just wow and the way u present yours thoughts its amazing. I wished you Aalways be happy and think like that and wishing everyone understand this feeling of unconditional love and care as you want. Have a great day, and wishing u a very very good nght .It's Awesome. I loved it. U writes it's very very beautifully and how u shows urs love and care it's amazing. Like yours every post I again loved to read it so much ..very very inspirational.Its shows yours amazing love and concern towards ours nature and holy Rivers. Really if everyone like u think we nevers see anything polluted in whole world. And the way you describe the feeling of unconditional love and care it's wonderful I wish everybody understand this feeling by someone. I must u r very very talented the way think.Please take care of yourself always and be Happy Always. Thanks for sharing your good thoughts with us. I recently had the good fortune of reading your article presenting your concern towards the well being of Nature and benefits of us. It was well-written and contained sound, practical advice. You pointed out several things that I will remember for years to come. Its very very impressive and the way you describe your concern and write it's I must it's written like Angel's writing. It's definitely Incredible writing. You done good job here and I loved to read your this article. I wish it will bring change. Have a great day to yu as well. I really consider you a real Generous ,Good ,Intelligent and Caring person because you wanna helped our Nature and surroundings people without any personal interest for our better well being and Good beautiful Future with yours blogs. I wished everybody understand this feeling . People like you are hard to find. Thank you so much for sharing such a good caring feelings with us. I really loved alot to read it. Wonderful writing. It's very impressive and written very beautifully .I loved each and every line the way you write and I love this line "Love that spread unconditionaly are received unconditionaly" of this article. I think you have written this with urs complete dedication for the rights of Rivers. I loved to read it. Beautiful thinking. You writes so well to bring everyone attention towards the well being of our Holy Rivers and for their rights. Very impressive and beautifully written.You done a commendable job here to bring awareness that our existence only because of them so don't pollute them. I love this post too as yours all post. Thanks for sharing such a good topic with us.. Keep writing.. Beautifully written for bright future of our nature and rivers so that it's beauty can be maintained for a very very long time. Loved it. You have captured my attention with your opening message, I was glued and wanting to read more. "Love that spread unconditionaly are received unconditionaly" this message is devine and a gem to take away. Your subject is great though few people touch. We should give back the love to our mother nature, as she is giving us her unconditional love. This is a really great topic and you have a great style of writing, I would just like to give one suggestion, if you let me. I would like to suggest that in your future writing maybe you ca write more as I feel like I want to read more of this, it's like you give us just a slice of a cake :) . Overall, I enjoyed reading this and keep writing, and keep inspiring. I am very glad to hear your views and will soon provide you the other piece to enjoy ! Very insightful and inspiring! Thanks for sharing! I was really impressed the way u present yours thoughts, love, concern .You writes very Beautifully, I loved every line of it. The way you present your love and concern towards cleaness of River and Nature is Amazing. I wish everyone respect our Holy Rivers always ,and not pollute them also understand that they are also like living being and have a feeling. Wishing everyone understand this feeling of unconditional love by anyone. I loved to read it. God bless you always, Take care and Have a beautiful day.!!!! Keep reading alessia ! I am glad of your interest . You done commendable job here by showing interest and writing for our Nature and Divine Rivers. The way you present the your concern, and shows importance of Rivers, their Rights ,their Unconditional love and sacrifice to ours life is Amazing. I wish everyone understand this feeling ,we are on this beautiful planet because of only existence of these Holy Rivers on Earth. So don't pollute them "if they Die we Die". You shows Real meaning of unconditional Love and Sacrifice. I hope everyone understand this. Superb writing.Love You Darling, God bless you Always. I love to read this article. Take care and Have a nice day!!!! To be honest I loved the way you enlighten us,aware us and show how Important our Nature and our Holy Rivers for us, for our futures. And the way you express urs concern, your thoughts for the welfare of Rivers ,for their rights is Amazing .I love it. You've done a remarkable and dedicated job here. You show real meaning what the love and sacrifice is. It's our pleasure to find such a good article which is ocaassionaly written for the Right of our nature Rivers and shows that they are living being like us. For this Article I want to thank you from the deepest recesses of my heart for doing all you have done to help with the elevation of spiritual awareness for all of us. Although, I think “thank you” is not enough but lack a much better word for how I feel.I loved to read it. God bless you always,with u always.Take care. Thanks you so much for sharing urs good thougt with us. Keep more writing!!!!! I will let you provide more to read .Stay connected to the blog . As an individual who believes in nature and growing spiritually, I really enjoyed reading this post. It is important that we respect and protect nature not just for us but also for our future. You have beautifully expressed the love for our holy river Ganga. 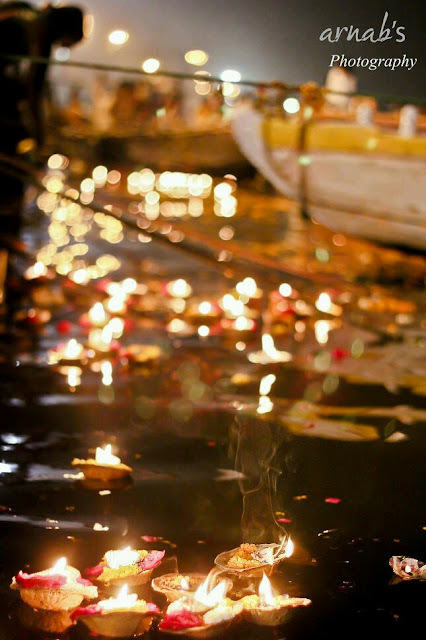 I used to spend hours sitting on the bank of river Ganga during Ganga Aarti in Patna. This post made me remember those days. Thanks! Honestly speaking, this was amazing and your descriptive writting was very effective. Keep it up future author! I love your writing style and I love your article. The topic you've chosen is very important and relevant. Thank you for sharing. I loved it and the way you describe their love and importance its amazing. keep writing and hope we get more good topic to read. Very Good Morning to you on this Christmas eve. I read your every article and in this article the way show importance of our Holy river is Amazing and the way you present their uncondinatinal love for us is outstanding. I loved to read your every article but this one is superb.I wish every one understand your concern. And wishing You very Happy Merry Christmas and yours this Christmas filled with fun, joy and happiness.Enjoy this Beautiful day. And Hope we got more Good article's to read. thanx merry Christmas to you too ! Truly said our existence because of only their unconditional love towards us. We live long only when they live long and when they are healthy. Exactly our existence only because of them and we live more if they exist.We have to try think abt them for their rights and our future. Truly said and very well written!! Showing real face of our society. We need try to think about ours Nature to make its beautiful and healthy . Beautiful written to dedicate our nature.Yours every article are awesome. I loved all of them. Truly said Nature speaks to us silently, much more than we can imagine ,if only we could hear it whispers. The Trees, plants, flowers, rivers, mountains, oceans, lakes, all are living being, living creatures they all impart lesson to us more valuable and have Greater importance than all university on the Globe can do. Nature Gives us hope, solace and empathy which humans often great need of. We have to need to understand them, their feelings towards us. And yes If only we could follow Nature ,we could relieved of all dross and Negative things, thought in life. We deviate from our path prescribed by immutable laws of Nature and invite troubles Galore.If we wish to lead useful, successful, and fruitful life ,we have to live in harmony with Nature and imbibe silent lessons that it teaches. We have to understand their Unconditional love and support towards us because if they scream we can't able to handle. Yes Save them as it is and try to make it more beautiful because if they feel healthy then only we feel happiness for a long time and give a better future for our next Generations. I wish Your works here definitely brings change to our surroundings as You want.And yes they deserve more care and love beyond we can think and imagine bcse this feeling of unconditional love towards us hard to find. Yours every article are Good but You know it's a Masterpiece,Incredible one .keep writing You're are very Good writer.Thanks alot sharing such a motivational thought dedicated to our Nature. You know today I visited your blog and what you told with yours blog really need to be taken into consideration. You know even the most amazing thing is that today I watching the Zee news of India in this news like always Holy Maa Ganga great news to watch I wonder that the year 2019 in which Mahakumbh taken place at Allahabad in that place the river Ganga according to CPCB(Central Pollution Control Board) is the most polluted in the whole country . According to news it's not suitable even for a single Dip and even now a single dip can cause a dangerous disease. Definitely this blog create lots of awareness and I wish everyone think abt them before polluting them because Indirectly it's harm us with ours admiration. Great blog, great thought and you are very Good writer. Keep writing. Take care and thanks for sharing for this With us. Wishing you very Gd night.